Rarely we see a 21 year old virtuoso of any instrument release nine albums in a row. Sungha did exactly this: 1 album every year beginning from the age of 13. 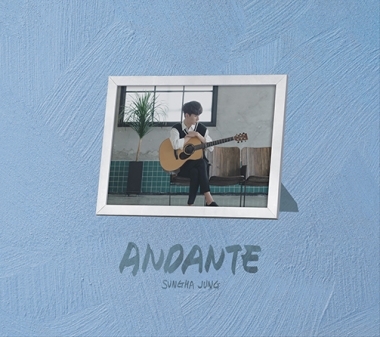 It has certainly been a blessing and a blast for both Sungha Jung himself and his fans worldwide, and this time, the young guitarist seems to be happy to take one slower step with his 8th solo album [ANDANTE]. Amidst full of brand new, warm and breezy original compositions, one carefully selected cover track "Vincent" adds to his repertoire of signature poetic style. The entire album is just a perfect blend of technical mastery and tender musicianship of the young finger picker. The imprinting title track of [ANDANTE]. The melody that rings out at the happiest moment of the most blissful day of one's life. The lovely, warm feeling of a kiss between lovers, friends and family members. An ideal closing track of the gentle-spirited album. Vivid and crisp, Sungha Jung's interpretation paints a fresh portrait of the comfortable melody from Don McLean. The album has been out since May 18th 2018. The best is to visit www.sunghajung.com to find out how to get his new album in your country.